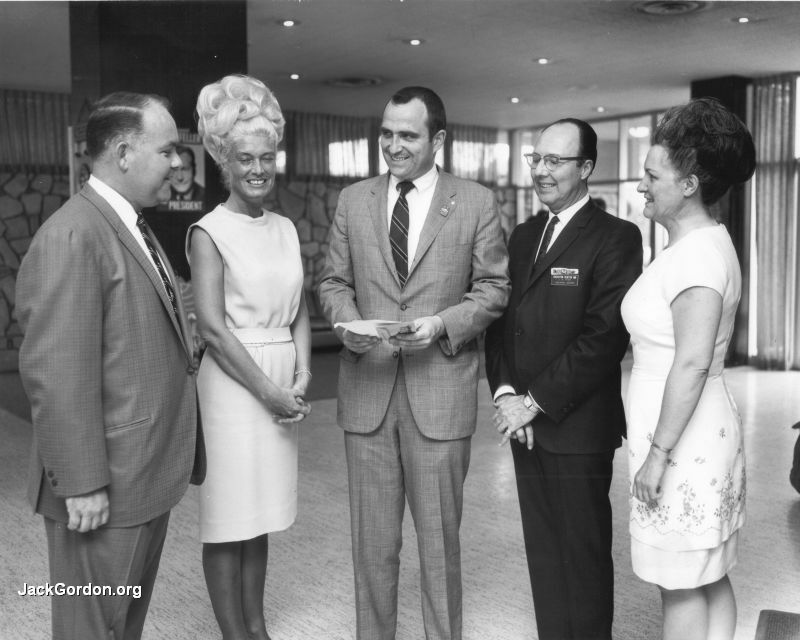 Renton-Sheraton Inn Managing Director Don Cruickshank, left, Donna Watkins, catering manager, NY Senator Stafford, Jack Starr, assistant manager, and Mrs. E.J. O'Brien met briefly before Governor Rockefeller's arrival for a last minute review of arrangements. Renton Police Chief C.S. 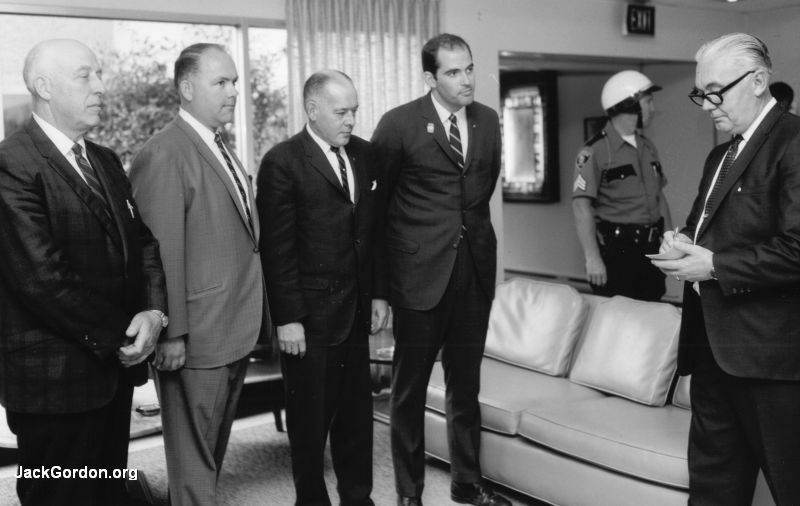 Williams reviewed security arrangements with assistant Chief Frank Henry (left), Don Cruikshank, Jim O'Brien, and Dennis Shaw, who was in charge of Secret Service arrangements at the hotel. Seen in the background is Sgt. John Buff of the Renton Police, one of numerous men assigned to provide complete protection for Governor Rockefeller during his brief stay in Renton. 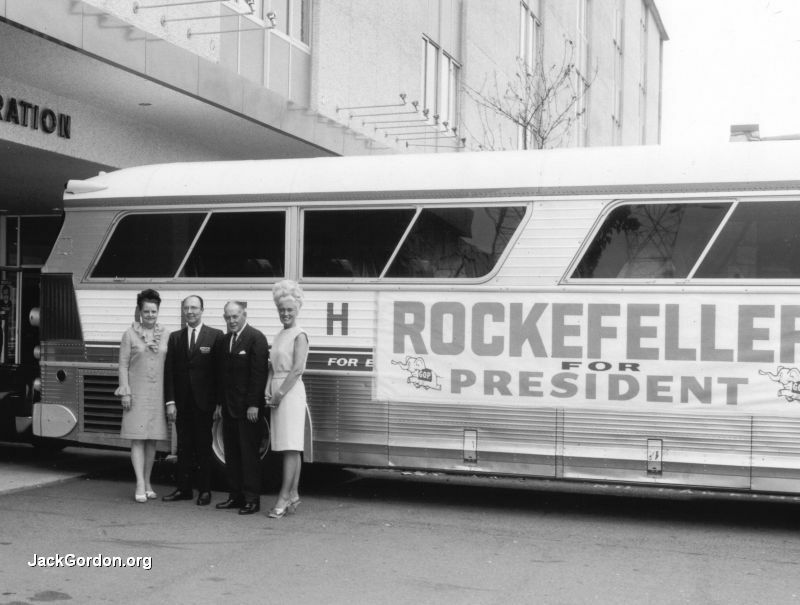 Olive White, coffee shop manager, Jack Starr, Jim O'Brien, hotel manager, and Donna Watson, catering manager, posed beside the bus which brought the Rockefeller retinue from Sea-Tac Airport to the Sheraton-Renton Inn. 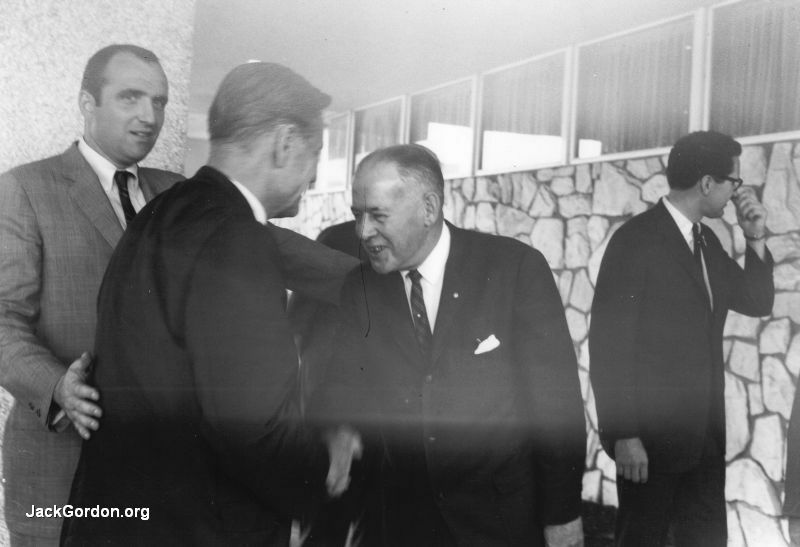 Governor Rockefeller was greeted at the hotel entrance by E.J. (Jim) O'Brien, general manager. At left is Senator Ron Stafford of New York, who handled arrangements at the Inn for Mr. Rockefeller.